Astronomers used NASA's Hubble Space Telescope to identify over 11,000 globular clusters in the Virgo cluster of galaxies. Most are older than 5 billion years. The sharp vision of Hubble's Advanced Camera for Surveys resolved the star clusters in 100 galaxies of various sizes, shapes, and brightnesses, even in faint, dwarf galaxies. Comprised of over 2,000 galaxies, the Virgo cluster is the nearest large galaxy cluster to Earth, located about 54 million light-years away. 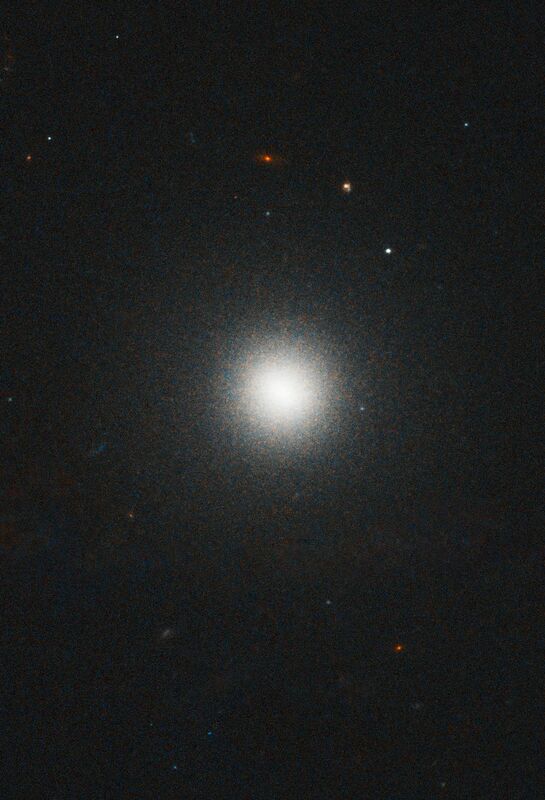 Astronomers have long known that the giant elliptical galaxy at the cluster's center, M87, hosts a larger-than-predicted population of globular star clusters. The origin of so many globulars has been a long-standing mystery. "Our study shows that the efficiency of star cluster formation depends on the environment," said Patrick Cote of the Herzberg Institute of Astrophysics in Victoria, British Columbia. "Dwarf galaxies closest to Virgo's crowded center contained more globular clusters than those farther away." The team found a bounty of globular clusters in most dwarf galaxies within 3 million light-years of the cluster's center, where the giant elliptical galaxy M87 resides. The number of globulars in these dwarfs ranged from a few dozen to several dozen, but these numbers were surprisingly high for the low masses of the galaxies they inhabited. By contrast, dwarfs in the outskirts of the cluster had fewer globulars. Many of M87's star clusters may have been snatched from smaller galaxies that ventured too close to it. "We found few or no globular clusters in galaxies within 130,000 light-years from M87, suggesting the giant galaxy stripped the smaller ones of their star clusters," explained Eric Peng of Peking University in Beijing, China, and lead author of the Hubble study. "These smaller galaxies are contributing to the buildup of M87." Hubble's "eye" is so sharp that it was able to pick out the fuzzy globular clusters from stars in our galaxy and from faraway galaxies in the background. "It's hard to distinguish globular clusters from stars and galaxies using ground-based telescopes," Peng said. "With Hubble we were able to identify and study about 90 percent of the globular clusters in all our observed fields. This was crucial for dwarf galaxies that have only a handful of star clusters." Evidence of M87's galactic cannibalism comes from an analysis of the globular clusters' composition. 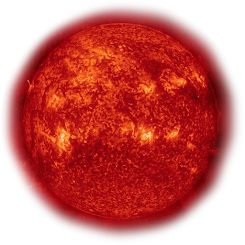 "In M87 there are three times as many globulars deficient in heavy elements, such as iron, than globulars rich in those elements," Peng said. "This suggests that many of these 'metal-poor' star clusters may have been stolen from nearby dwarf galaxies, which also contain globulars deficient in heavy elements." Studying globular star clusters is critical to understanding the early, intense star-forming episodes that mark galaxy formation. They are known to reside in all but the faintest of galaxies. "Star formation near the core of Virgo is very intense and occurs in a small volume over a short amount of time," Peng noted. "It may be more rapid and more efficient than star formation in the outskirts. The high star-formation rate may be driven by the gravitational collapse of dark matter, an invisible form of matter, which is denser and collapses sooner near the cluster's center. M87 sits at the center of a large concentration of dark matter, and all of these globulars near the center probably formed early in the history of the Virgo cluster."